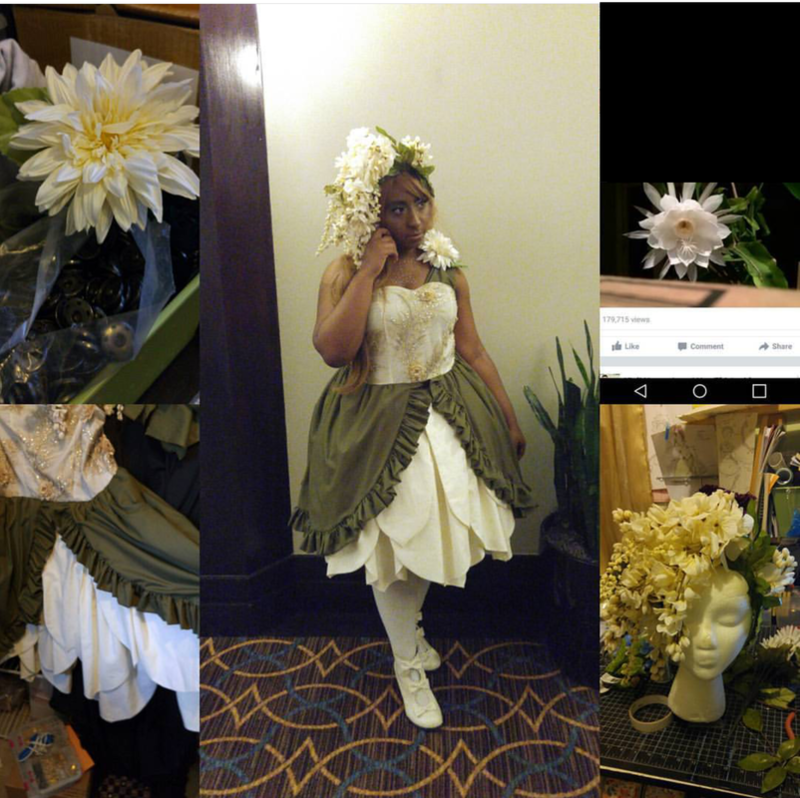 In 2016 I had the absolute pleasure of participating in the Rufflecon Design competition. 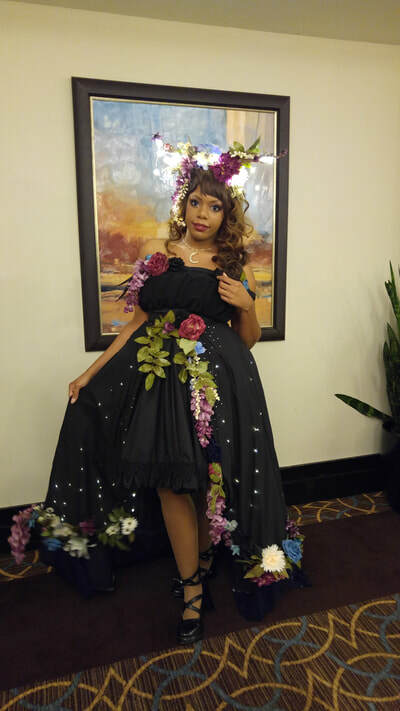 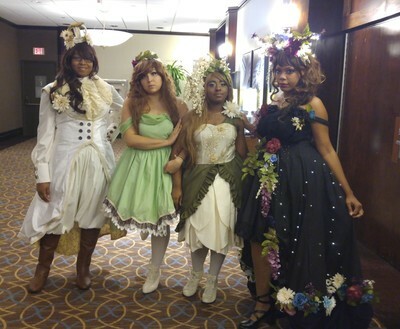 For the competition I created 4 looks inspired by a beautiful garden after dark. 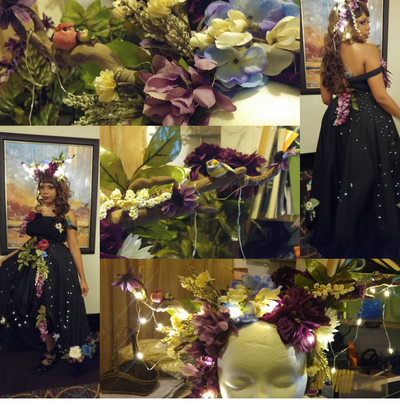 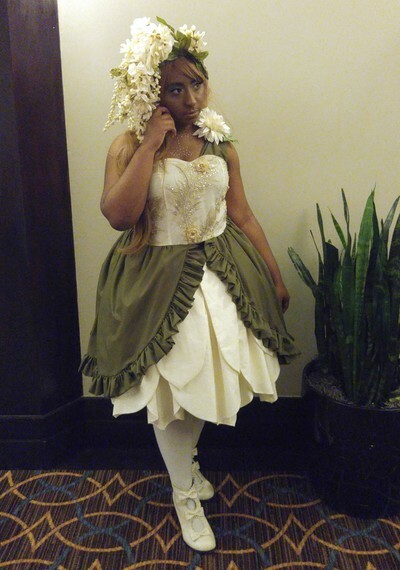 The looks represented the plants and animals you would find in a garden after dark and the garden herself in the form of a forest spirit. 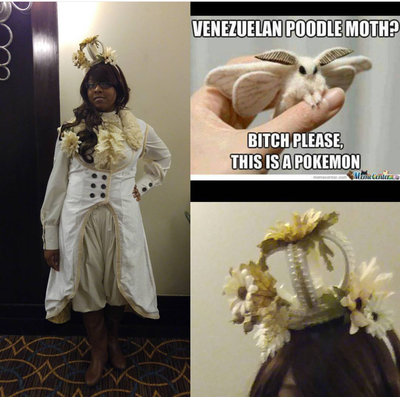 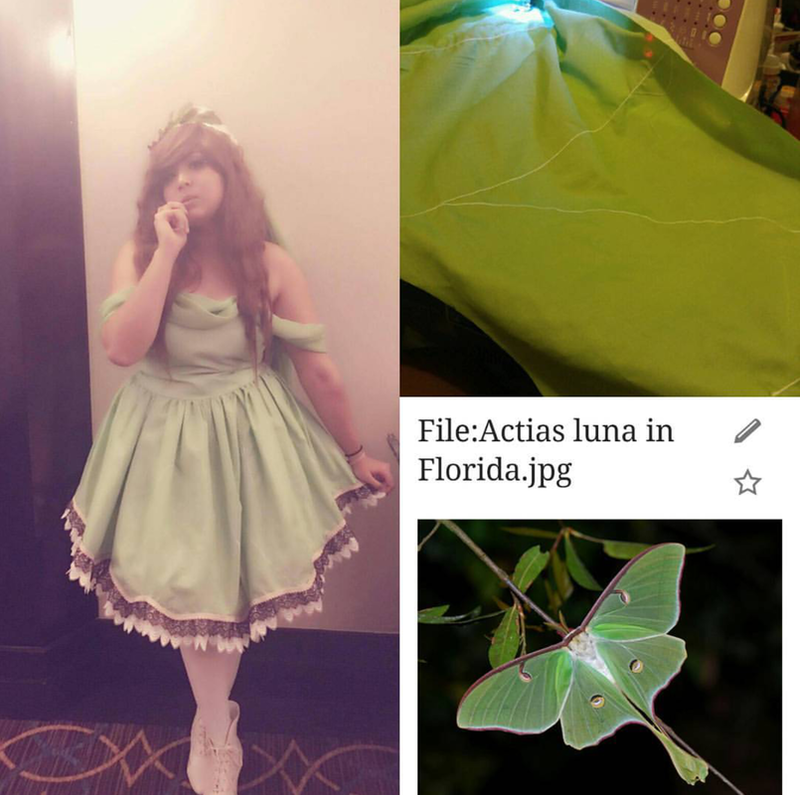 My inspirations were the Venezuelan Poodle Moth, the Luna Moth, the Night Blooming Cerus and of course all the other beautiful dark flowers and bright stars that decorate the night. 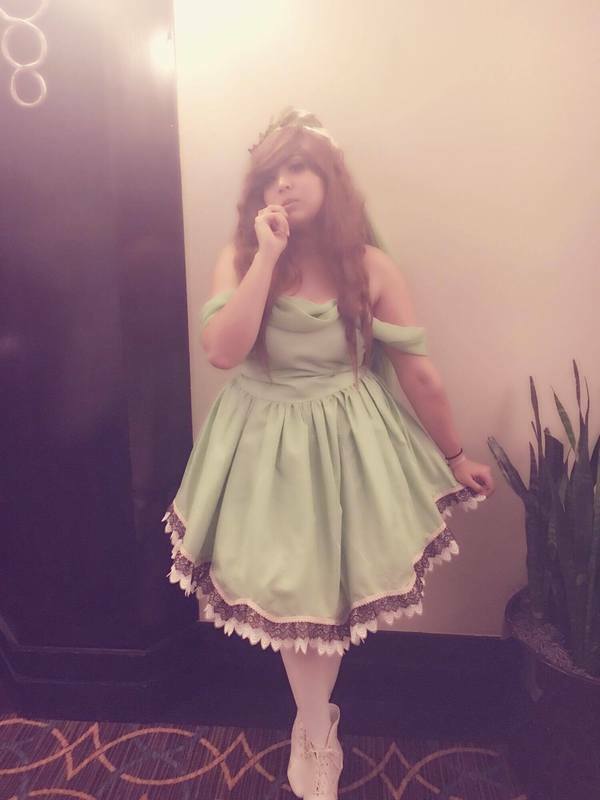 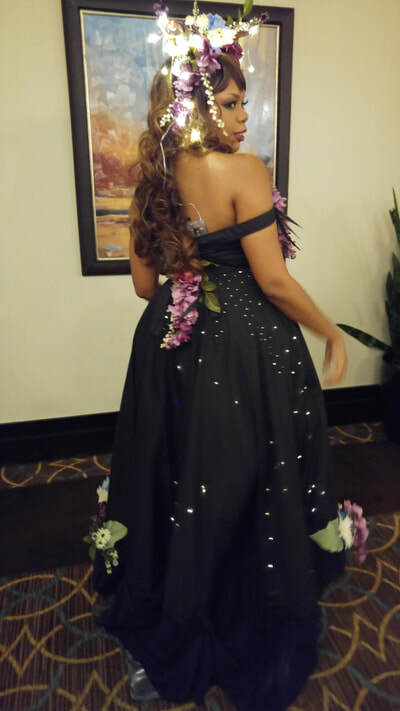 FUN FACT: the Spirit of the Night Garden skirt was supposed to have lights along the train that would represent bio-luminescent water, The running lights broke as they were being sewn in and we spent the night before the contest sewing in fairy lights so the dress would still have a lighted element. 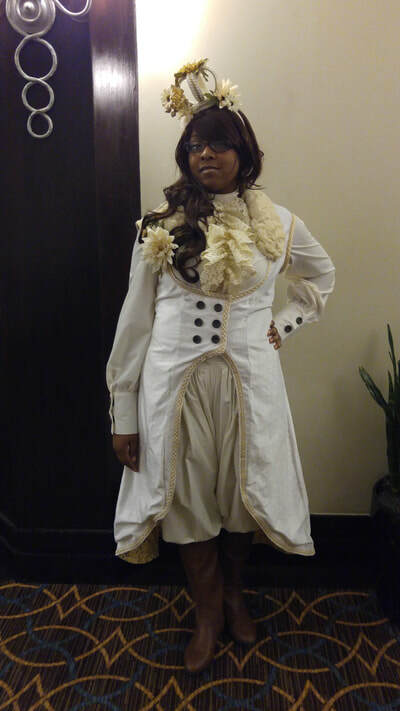 It was also my first time making a blouse and bloomers. Sadly we didn't win but I had a blast making everything and these are still some of my favorite looks.